These fabulous candlesticks were made by Michael Hunter for Twists Glass in 2017. 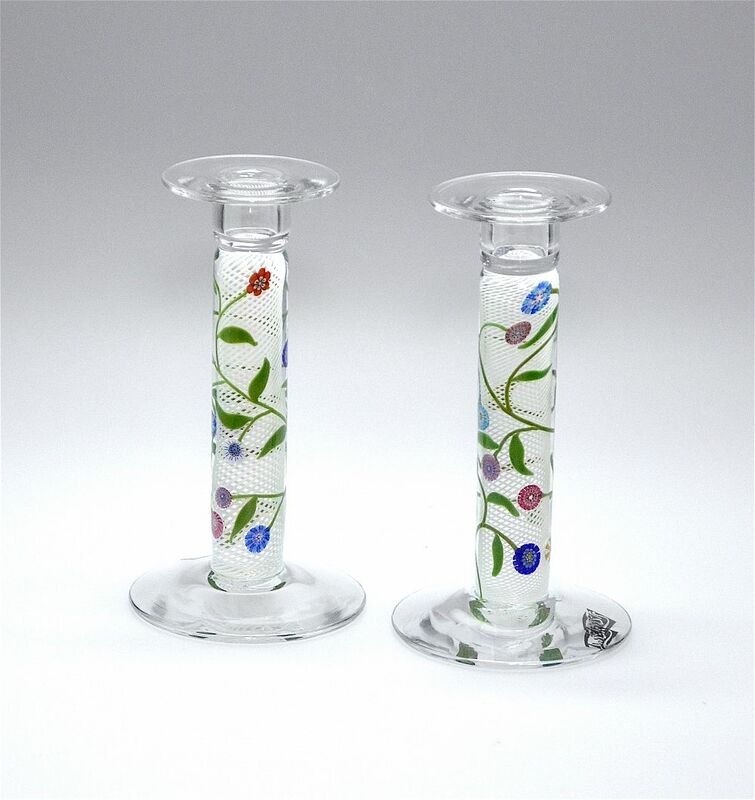 Each candlestick has a central column consisting of an internal white latticino cane overlaid with climbing flowers with heads of multi coloured murrine canes and green glass torch work stems and leaves all encased in clear glass. The base and fixed sconce are in clear glass and the bases are scratch signed "M Hunter Twists 17" and have the Twists Glass studio label. The candlesticks can be bought separately at £450.00 each, as being handmade they are not an identical pair.